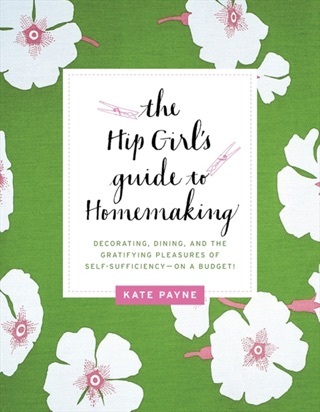 The author of The Hip Girl's Guide to Homemaking shows you how to love your kitchen and learn to make creative, delicious food without breaking your budget. You can become a confident cook—even if the drawer with the take-out menus is the only part of your kitchen you currently use! Kate Payne shows you how to master basic cooking techniques—boiling, baking, and sautéing—and simplifies the process of fancy ones, like jamming and preserving, dehydrating, braising, roasting, infusing, and pickling. With this straightforward and fun guide, you can stock up your kitchen with the ingredients, tools, and appliances you'll actually use. You'll also learn how to decode recipes and alter them to make them gluten-free, dairy-free, or vegan. 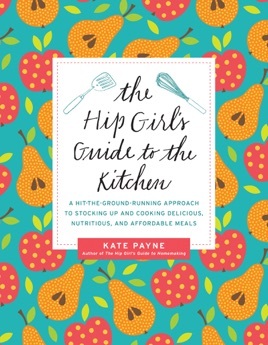 The Hip Girl's Guide to the Kitchen includes advice and instructions on how to make both classic meals and foods that are typically bought, such as yogurt; ice cream; flavored salt; oil and vinegar infusions; kimchi; aioli; jam; granola; bread; and fruit leather—even liqueurs, iced teas, and vegetable juices. With fun line drawings, sidebars full of tips and tricks, and lists of resources, Kate Payne sets you up for success and shows you how to unlock your inner kitchen prowess.